2012 Freighliner SD Coronado Day Cab truck wet line Kit 380k Miles, Fleet maintained truck. DOT ready For work . 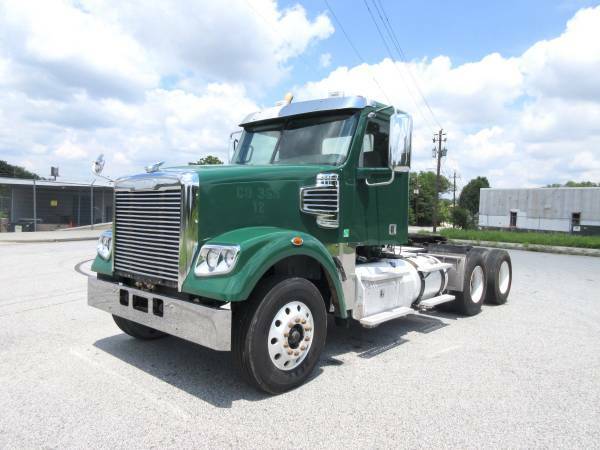 DD13 Specs : Detroit DD13 12.8 L, 450 hp, eng brake, DEF, DPF, Eaton Fuller RTO16910CAS Autoshift, A/R cab, TufTrac susp, 12000 lb frt, MT4014X rears, 200 in. WB, alum frt, wet kit, 3.70 gear ratio Peterbilt Day Cab , Kenworth Day Cab, Internaional Day cab, Freightliner Day Cab, Volvo Day Cab.